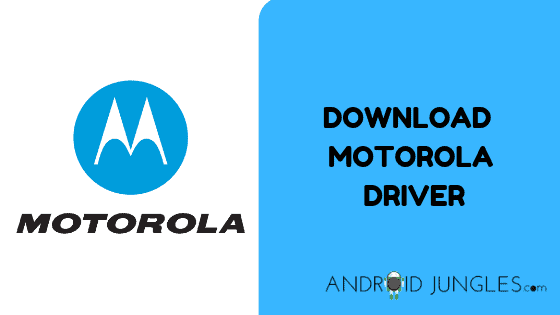 Download Motorola USB Driver: As you might know that USB Driver play a crucial role in establishing a connection between your Smartphone or tablet and Windows Computer, here we are today with an article dedicated to the same. If you are looking for a way to connect your Motorola Device with your Windows Computer you have then dropped at the appropriate place. In this article, we have mentioned for you all the Motorola devices and the links to download the USB Driver for the same. There is also a guide for installation of these drivers along with a FAQs section that would help you solve your doubt, if you have any. What are Motorola USB Driver? 1 What are Motorola USB Driver? Motorola USB Driver are specially customized files that allow you to connect your Motorola Smartphone or tablet to the Windows Computer without having the need to install any ADB or other similar software. You can transfer and share files, data, document, audio, videos, etc from your Motorola device to the Windows Computer effortlessly. Motorola has also got for its users and application that would allow you to transfer data between Motorola smartphone and computer. Here is a list of all the Motorola devices and their respective driver download links. Given below is a step by step guide on how to install Motorola USB Driver on Windows Computer. Step 1. To begin with installation process of CDC Serial Driver, download and extract Motorola USB Driver on your Windows PC. Step 2. Next, open the Device manager on your Computer by pressing Win+ R to launch Run Command> in Run Command Window Type- devmgmt.msc and press the OK button. Step 3. Once the device manager is launched, click on the Computer name. Step 4. Now Click on Action Menu and select Add Legacy Hardware. Step 5. In the Add Hardware Wizard, click on Next Button. Step 6. Then by selecting Install the hardware that I manually select from a list (advanced) click on the next button. Step 7. Now under the common hardware types> select on show all devices and click next button. Step 8. Then, click on the Have Disk button> locate the Motorola USB Driver on your computer. Step 9. Now that your driver is listed in the blank area, click on Next to continue. Step 10. Once again click on the next button. Step 11. You will now be able to see Windows Security Dialog Box. Under which you will need to select Install this driver software anyway. Step 12. The device manager will now install the Motorola USB Driver on your Windows PC and this process will take not more than 2-3 minutes. Step 13. Then, click on the finish button for closing the Add hardware Wizard. You will now see the Motorola USB Driver installed on your Windows PC listed in the Device Manager. 1. What if the driver you are searching for is not mentioned in the list given above? If the device and its driver are not listed above, what you can do is leave us a comment in the comment section below. Your request from the comment section will be noticed. 2. What are Motorola USB Driver used for? Motorola USB Driver are specifically used to connect the PC or laptop to your Motorola device. They are also helpful in tasks like flashing stock firmware, IMEI Flashing, root access, etc. 3. How often are the Motorola USB Driver for mobile phones updates? The Motorola USB Driver are generally updates at the time of addressing performance issues and fixing bugs. 4. Do Motorola USB Driver require internet or WiFi connectivity to use? Not really. For the purpose of using Motorola USB Driver, you do not need to have an internet or WiFi connection on. The processes you need to do with Motorola USB Driver require nothing as such. 5. Does Motorola USB Driver for Mobile Phones work with mobile and desktop devices as well? Motorola USB Driver for mobile phones are specifically designed to work for Motorola USB smart phones and to be installed on Windows PC. 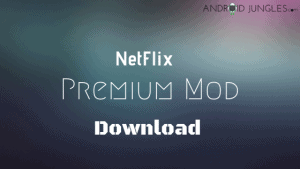 But if you wish to use the program, an android device is essential. 6. How to Install Motorola USB Driver for Mobile Phones? Motorola USB Driver for Motorola USB devices can be installed by firstly downloading the .exe setup file for the respective program. It can later on be opened so as to follow the setup steps where users can select a storage destination on their hard drive for the file. 7. Is Motorola USBDrivers safe for our mobile phones? Yes. If downloaded from an original, trustworthy source, just like one where you are reading this, Motorola USB Driver are absolutely safe for your device. It tend to be safe for both the computer and the laptop as well. 8. On what Operating Systems are Motorola USBDrivers available for mobile Phones? Motorola USB Driver are, as the name suggests, designed for Android mobiles and they work on other platforms to connect the android devices of- Windows XP, Windows 7, Windows 8, Windows 8.1, Windows 10, Windows Vista. 9. Are Motorola USBDrivers for Smart phones free? Yes. The USB Driver for Motorola are absolutely free of cost for the purpose of downloading, installing as well as using. You are not demanded any sort of cash or deposit or advance. You do not have to give any sort of money for unlocking any feature or in-program advertisements. 10. With what are the Motorola USB Driver compatible to work? As the name says itself, Motorola USB Driver are compatible to work with the Motorola Smartphones and tablets. You can easily test the apps on running Android Operating System. In this Article, we have shown you how to download Motorola USB Drivers and some of its related concepts. Motorola USB Driver help you to establish a connection with the your Motorola Device and your Computer or laptop. This way you can share and transfer files, documents, audio, media, video, etc through the computer or laptop to android device and vice versa. 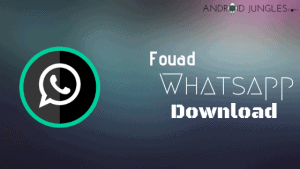 You also get to perform various developer level changes on your android Device with the initiating step of connecting it to your PC, like Rooting, Flashing the Stock firmware, etc. If there is something we missed, you can tell us in the comment section below. Also, if you come across any problems while installation feel free to drop a comment in the comment box downsides. We will be glad to help you out. I hope you found our guide worth the time. Thank you for reading our article. Keep visiting our page Android Jungles for more such tech related articles. Connect with us on Facebook, Twitter, and Instagram for Tech World Updates. Do make sure to subscribe to our newsletter for keeping updated with Technological affairs. If you have any doubts or question regarding the guide to install Motorola USB Driver, feel free to let us know in the comment section below.